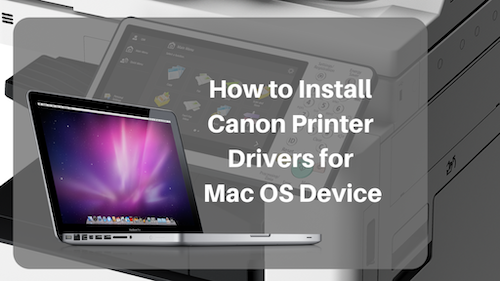 How to Install a Canon Printer Driver for Mac OS | Duplicating Systems Inc.
1. Open your web browser. 2. Go to usa.canon.com. 3. From the main page, click “Drivers and Downloads”. 4. Type in the box the device you want to download a driver for. 5. Click “Go”. 6. On the next page, click “Drivers and Downloads”. 7. Download the UFR Mac.zip file. 8. Click on “Finder” on the bottom left side of your screen. (if you don’t see “Finder” in your doc, gain access to your downloads anyway you can). 9. Click “Downloads”. 10. Click on the UFR file you downloaded previously (ends in mac.dmg). 11. Click on “Office”. 12. Click on the Installer (cardboard box). 13. Click “Continue” (You’ll click “continue” again after the first “continue”). 14. Click “Agree”. 15. Click “Install”. 16. Type in the password for your Mac OS device (the password that you use to log on to your computer). 17. Wait for drivers to install (Will take a few minutes). 18. Once the download is complete. Click on “System Preferences” at the bottom of your screen. 19. Click “Printers and Scanners”. 20. Click on the plus symbol on the bottom left side of the menu. 21. Now from this menu, you can add your Canon printer to your Mac OS device. There are 2 methods to connecting your Canon Printer to your Mac OS Device. 1. Find your device from this menu. 2. Click on the name box to rename your printer, (This Canon Printer was named ‘Demo Canon’). 3. Next to “Use”, click on the box to open a drop-down menu, then click “Select Software”. 4. Select the driver you are installing the printer for (Driver is named after the device). 7. Now the printer should be ready to work. 1.Click on “IP” from the previous menu (the menu where you clicked “Add”). 2. Type in your printer’s IP address. 3. Under “Protocol,” click “HP Jetdirect”. 4. Rename your printer if you prefer. 5. Under “Use,” change “Generic Postscript Printer” to “Select Software”. 6. Type in the device you’re downloading your driver for. 7. Click “Ok”. 8. Click “Add”. Now your printer should be ready to work. If you want to see a video version of the post above, see below.